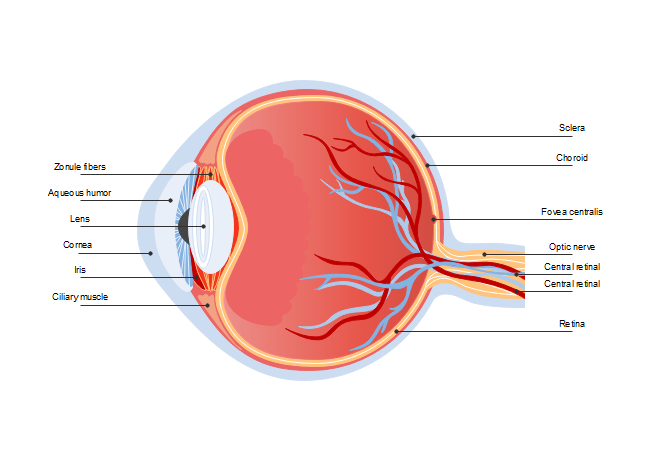 Description: Learn about all the essential compentents of human eyes in details based on this eye diagram template. Prepare well for your science texts or coursework according to more human anatomy built-in resources in Edraw Max. Share, discover and update Science Illustration templates in the professional content sharing community. With Edraw Max, you can edit the free templates for personal and commercial use.